After being out of town for 100 years I am back in Chicago, in my kitchen, and gearing up for my first St Patrick’s Day in the city. I use any holiday as an excuse to make treats. Usually this time of year I am making Irish Soda Bread in honor of the tiniest smidge of Irish blood I claim. This year I switched up the tradition with a muffin format and I couldn’t be happier about it. I love fennel and anise flavored anything and if you don’t you can leave out the caraway seeds. This makes you Un-Irish which on St Patrick’s Day makes you Un-American. Your call. 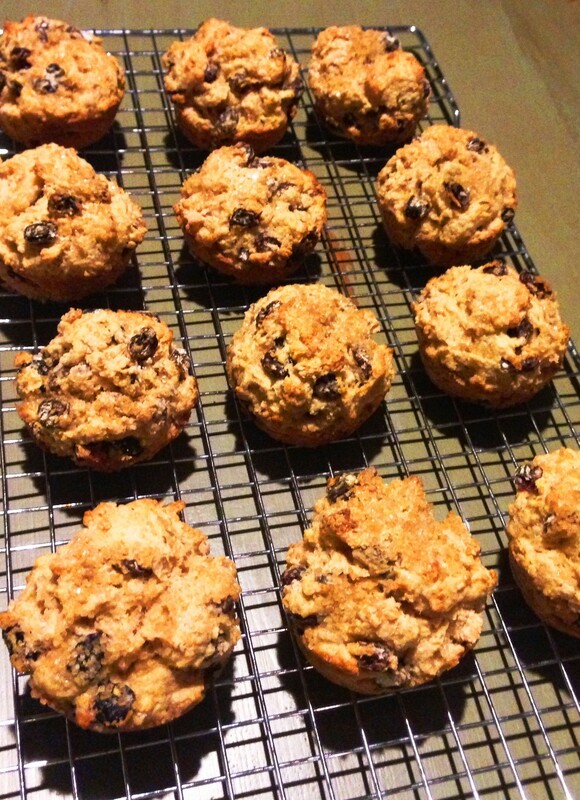 People can get real personal about their Irish Soda Bread. While I assure you this is not an authentic, Irish Recipe I promise you that these are very very very very very very very delicious. And easy! And the perfect way to start your St Patrick’s Day celebrations. *This stresses me out- I don’t understand the point of this flour. 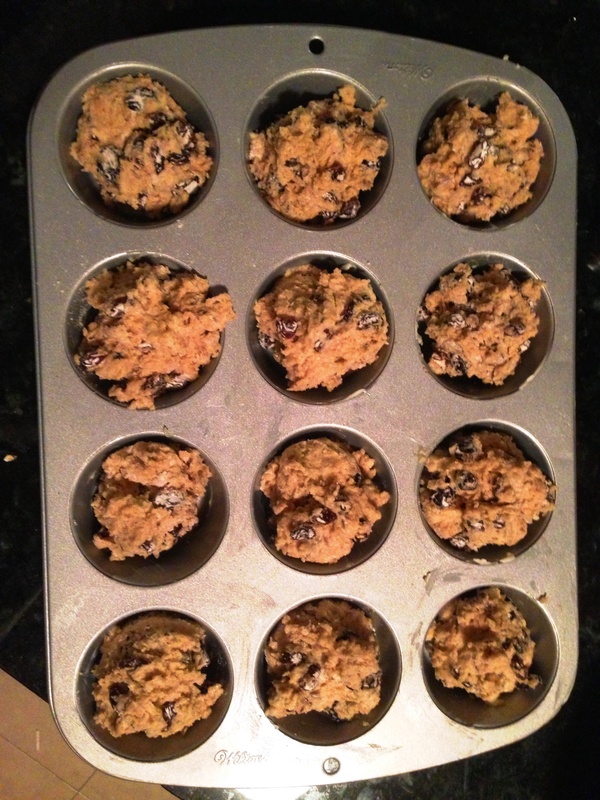 It’s not White Flour… not Wheat Flour… you can probably sub something else? 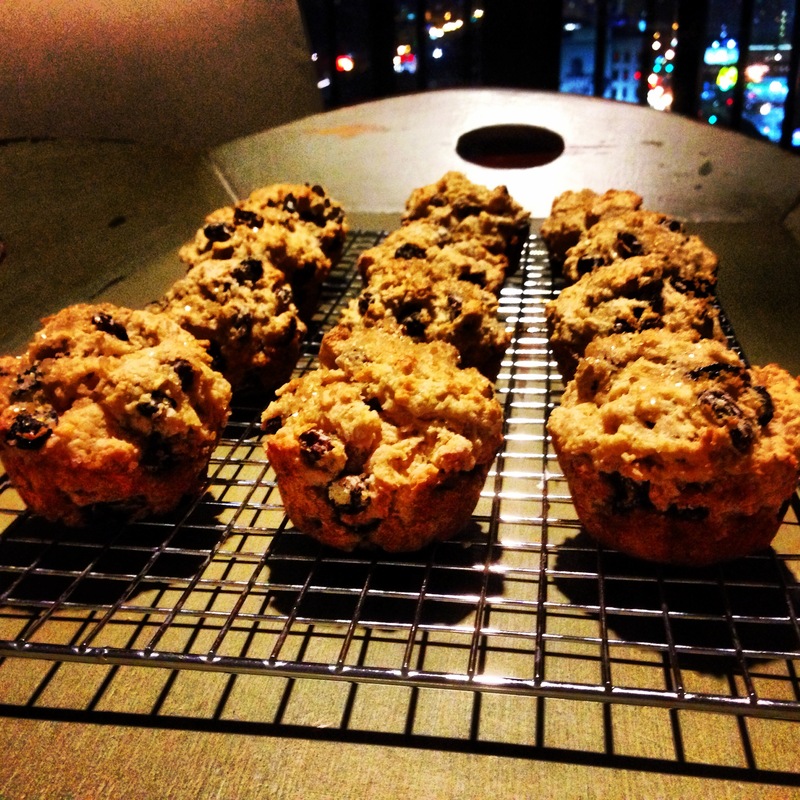 I don’t know but these muffins re great. 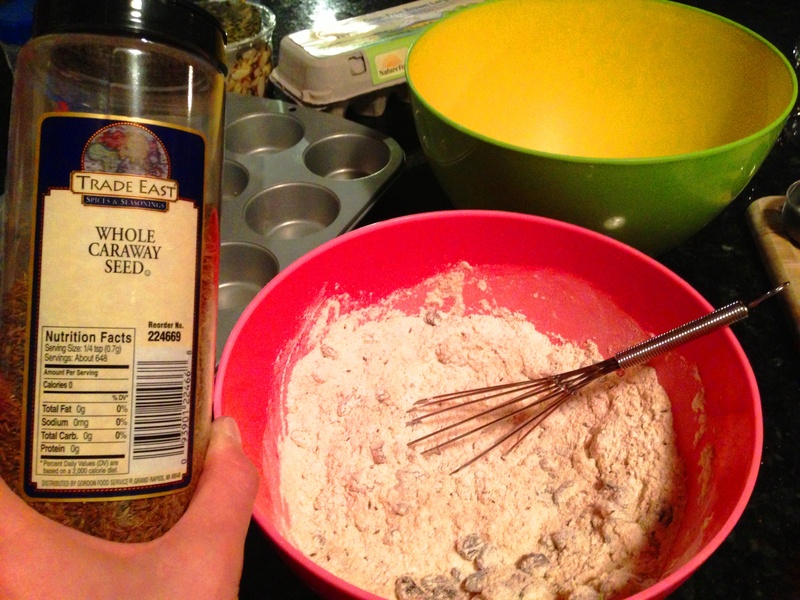 Whisk the flours, baking powder, baking soda, salt, sugar, raisins and caraway seeds in a bowl. In a separate bowl whisk the egg, buttermilk, and melted butter. Barely combine the dry and wet ingredients. Barely! Unless you plan on eating these after several green beers and you don’t care if they are dense and tough. 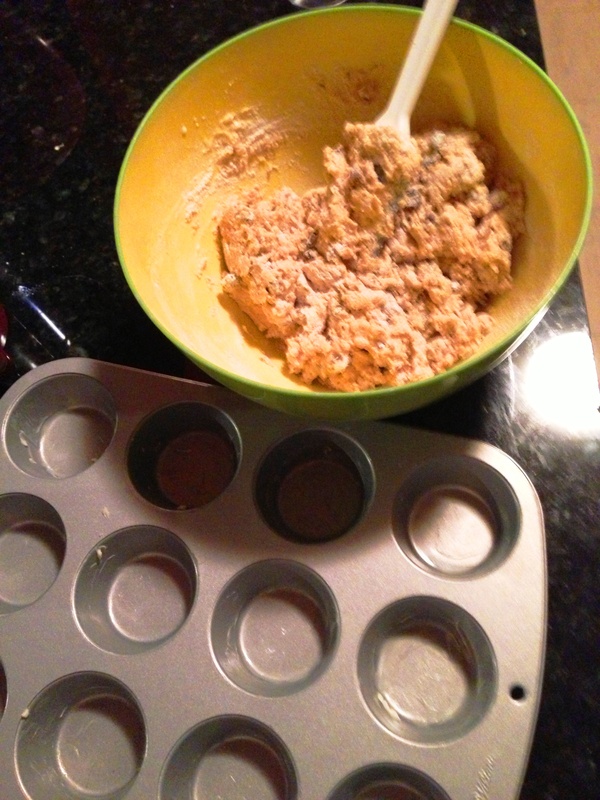 Spoon the batter into a greased muffin pan. Top with raw sugar. Bake at 400 degrees F for 20 minutes. Very tasty with Irish butter/Irish Coffee.